hd00:05Bangkok,Thailand - April 10, 2015: Hyperlapse Video. 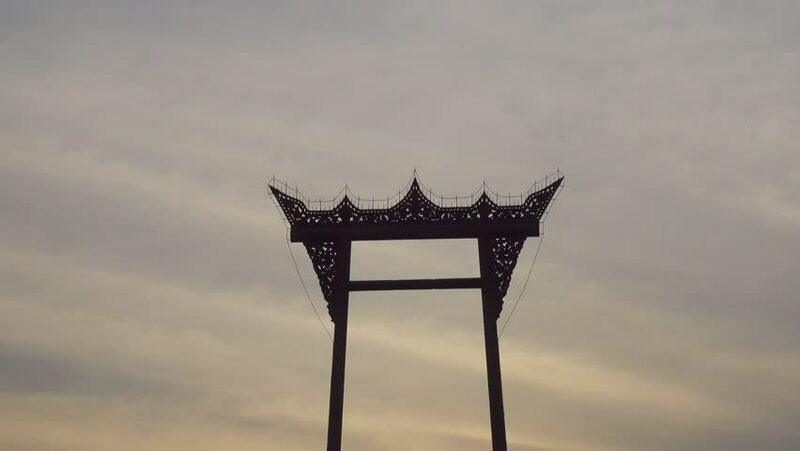 Giant Swing is a religious structure in Phra Nakhon district. located in front of wat suthat temple. and is one of Bangkok's tourist attractions. hd00:16Two people sit in a pagoda at dusk along coast.